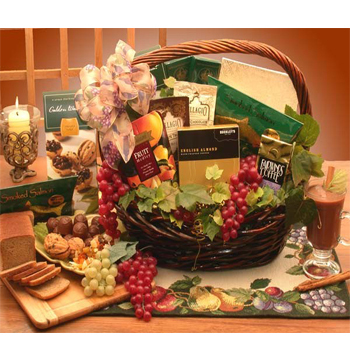 Send Gift Basket From Your Mobile & Get $50 Store Credit! International gift delivery company GiftBasketsOverseas.com launches a new mobile website : http://m.giftbasketsoverseas.com! Shopping from your Mobile phone such as iPhone, Android, Windows Mobile or Blackberry has become so much easier using the new mobile website. Now you can not only buy a gift basket for any occasion, recipient and destination worldwide from your phone, but also get a chance to receive $50 credit! The first 10 customers to order from the new GiftBasketsOverseas.com mobile website get $50 store credit! Just email to [email protected] mentioning this promo and be the first to get your $50 credit! Leave a Comment / Delivery DuJour Daily Gift Program / By Kate I. Now you can be generous and save money at the same time! 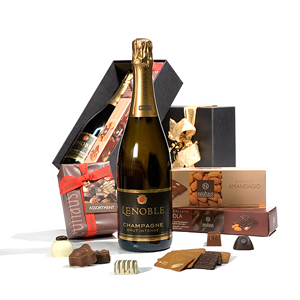 It’s as easy as A-B-C now that GiftBasketsOverseas.com has introduced a sweet surprise for its value- and price-conscious customers: The NEW Delivery Du Jour Daily Gift Program. Make sure to visit GiftBasketsOverseas.com often to learn which gift will be featured each day. Order daily to save $20 USD off the and enjoy the same great GiftBasketsOverseas.com quality at a reduced price! You’ll only get to indulge in these delicious savings for 24 hours (all times are EST), so order the Delivery Du Jour now. Don’t forget to follow GiftBasketsOverseas.com blog, Facebook page, and Twitter to be the first to learn about every day’s Delivery Du Jour.